A contemporary table lamp with Art Deco appeal, the Alfa Table Lamp is crafted from high-quality black satin metalwork. The sculptural design follows the form of the Acone lampshade to create a timeless look that exudes elegance. 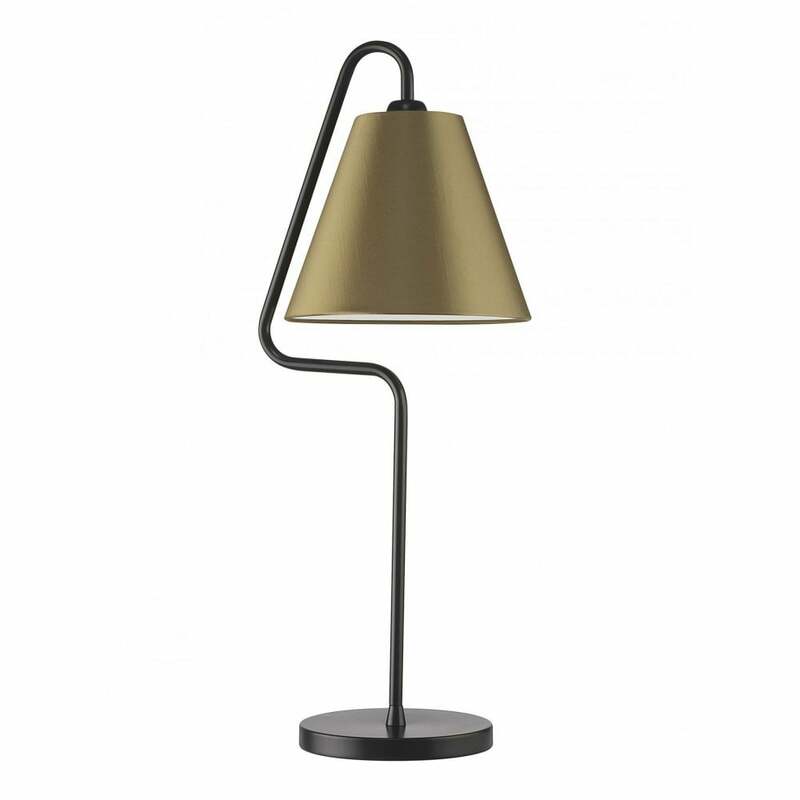 The Alfa Table Lamp will bring a warm ambience to a bedside or console table. With endless designer appeal, this lamp will enhance the character of a period property. The Alfa range by Heathfield & Co includes table lamp, floor lamp and wall light options. Priced for 09” Acone shade with silk outer and white pvc lining. Other options available.